As work environments evolve, so too do OSHA’s Guidelines for Safety and Health Programs. 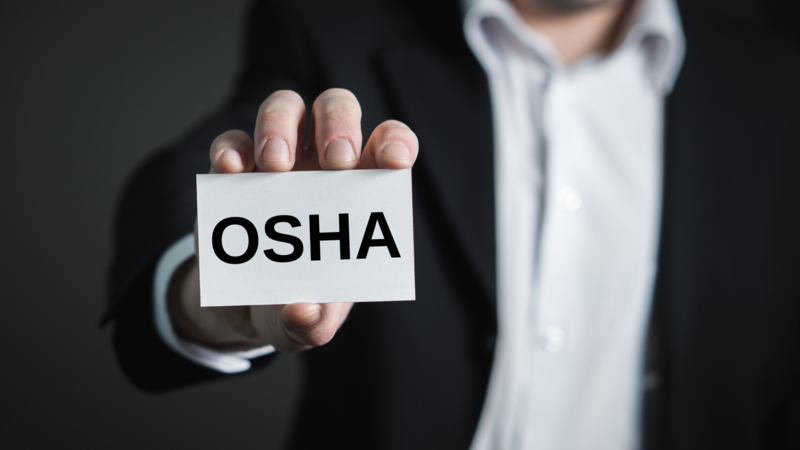 The most recent update released by OSHA can be used by both small and large businesses alike, whether that business is one that is just beginning or one that is simply desiring to implement improved safety regulations. Through the use of these programs, business owners can avoid unnecessary workplace injuries and illnesses. Establish safety and health as a core value. Tell your workers that making sure they finish the day and go home safely is the way you do business. Assure them that you will work with them to find and fix any hazards that could injure them or make them sick. Provide training. Train workers on how to identify and control hazards in the workplace, as well as report injuries, illnesses, and near misses. Conduct inspections. Inspect the workplace with workers and ask them to identify any activity, piece of equipment, or materials that concern them. Use checklists to help identify problems. Address emergencies. Identify foreseeable emergency scenarios and develop instructions on what to do in each case. Meet to discuss these procedures and post them in a visible location in the workplace. Seek input on workplace changes. Before making significant changes to the workplace, work organization, equipment, or materials, consult with workers to identify potential safety or health issues. Make improvements. Set aside a regular time to discuss safety and health issues, with the goal of identifying ways to improve the program. Access the Directory of OSHA-Approved State Plans HERE. Typically, OSHA conducts their inspections of a facility without any form of advance notice. However, employers maintain the right to require inspectors (also known as compliance safety and health officers) to obtain an inspection warrant before inspecting the work site. Preparation: Before conducting an inspection, OSHA compliance officers research the inspection history of a work site using various data sources, review the operations and processes in use and the standards most likely to apply. They gather appropriate personal protective equipment and testing instruments to measure potential hazards. Presentation of credentials: The on-site inspection begins with the presentation of the compliance officer’s credentials, which include both a photograph and a serial number. Opening Conference: The compliance officer will explain why OSHA selected the workplace for inspection and describe the scope of the inspection, walk around procedures, employee representation and employee interviews. The employer then selects a representative to accompany the compliance officer during the inspection. An authorized representative of the employees, if any, also has the right to accompany an inspector. The compliance officer will consult privately with a reasonable number of employees during the inspection. Walk around: Following the opening conference, the compliance officer and the representatives will walk through the portions of the workplace covered by the inspection, inspecting for hazards that could lead to employee injury or illness. The compliance officer will also review work site injury and illness records and the posting of the official OSHA poster. During the walk around, compliance officers may point out some apparent violations that can be corrected immediately. While the law requires that these hazards must still be cited, prompt correction is a sign of good faith on the part of the employer. Compliance officers try to minimize work interruptions during the inspection and will keep confidential any trade secrets observed. Closing Conference: After the walk around, the compliance officer holds a closing conference with the employer and the employee representatives to discuss the findings. The compliance officer discusses possible courses of action an employer may take following an inspection, which could include an informal conference with OSHA or contesting citations and proposed penalties. The compliance officer also discusses consultation services and employee rights. Access the Top 10 Most Frequently Cited Standards HERE. Workplace safety is paramount to a business’ ability to thrive. It benefits employers by saving them unnecessary hospital and court costs, keeping their workers engaged and productive. Implementing these OSHA practices preemptively avoids a reactive mindset, one that kicks into gear only after an incident has occurred. Enhance business operations and improve workplace compliance by properly adhering to OSHA standards.